Cassie Dull is the online communications specialist at Park Tudor School, an independent school in Indianapolis, Ind. Ah, another Facebook change. But this is one to be excited about—an update to Facebook Insights for your Facebook Pages. Insights, the analytics suite Facebook provides for page admins, is now more focused on helping marketers track fan engagement. If you can see which of your posts resulted in more engagement, then you can craft better posts to get your fans talking about you. You can find Insights on the left side of the page under your profile picture. The overview is a great summary of how your page has been performing in the past four weeks. The four numbers across the top tell you your total number of fans, the total number of friends your fans have, how many people are talking about you this week, and the number of unique people who have seen your page’s content this week. A chart shows the number of posts each day, the number of people talking about you and the number of unique people you reached. People Talking About This—The number of people who have interacted with your page in the past seven days. It includes likes for your page, likes for posts, comments, shares, tags and check-ins. Weekly Total Reach—The number of unique people who have seen content from your page in the past seven days. This may include fans seeing your content in the news feed or on your page, or friends of fans seeing that their friend interacted with your page. These are important numbers for tracking fan engagement. The more people who talk about you, the more people you reach. When posting updates, think about how you can get people to talk about you. If homecoming is approaching, start asking alumni questions about their college days. Ask for photos of homecoming events and share fun school trivia. With the new Facebook Ticker, your fans’ friends will see when they comment on your posts, which means you reach more people. The next chart on the Insights page shows you how your recent posts performed individually. It shows reach, engaged users, talking about this, and virality for each individual post. Reach is the number of people who saw that post. Engaged users tallies the number of people who clicked somewhere in your post. Talking about this shows number of people who liked, commented on or shared your post. Virality is the percentage of the people who saw your post and then talked about it. This chart is a huge development in the tough task of trying to understand how posts compare in reach and engagement. The goal here is to look at which posts performed well and which performed poorly, and then work to optimize your future posts so that they are more engaging. With Facebook constantly changing the news feed and keeping its EdgeRank algorithm a mystery, it’s always been a struggle for page admins to craft optimized posts to reach their fans and create some type of engagement. But now you can see for yourself which posts reach more people and get people talking. Looking at Park Tudor’s data, I see that sports updates and photos are popular. Interestingly, all of our links are at the bottom of the chart—they don’t seem to show up in the news feed and reach as many people as our status updates and photos. I’m curious as to whether other institutions have noticed this? The new Facebook Insights should help you to create a better strategy for posting to your Facebook Page. You can better understand how your fans interact with your content and you can optimize it to encourage fans to talk about you. As with any analytics package, the goal is to use the numbers to drive your content. For a more in-depth look, check out the Facebook Page Insights Product Guide, created by Facebook. I think Facebook insight is too more helpful to get information about the fans of the product. I have better experience in handling the big campaign of Facebook insight at where about 1 Millions are sharing their views. Thanks so much. Some very useful stuff in there, especially about what strategy to follow. 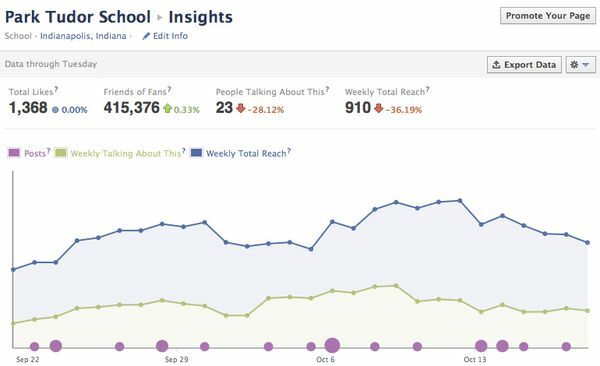 Facebook insight has given us a good analytic details regarding our business promotion over the Facebook. It help us to increase our sales strategies and business development. Better engagement through facebook have increase the profit growth of the business. I mostly prefer to promote my page over the facebook by promoting over the facebook only. It help me to get more client and customer to my business so that more sales would be occurred.